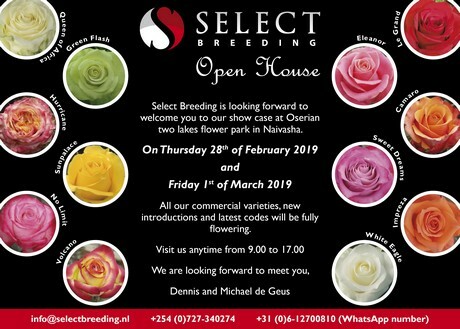 On Thursday the 28th of February and Friday the 1st of March Select Breeding will open the doors of their Naivasha showcase. All their commercial varieties, new introductions and latest codes will be fully flowering. During the open days people are welcome to visit from 9:00 to 17:00. Click here for the map with directions how to reach the showcase of Select Breeding. 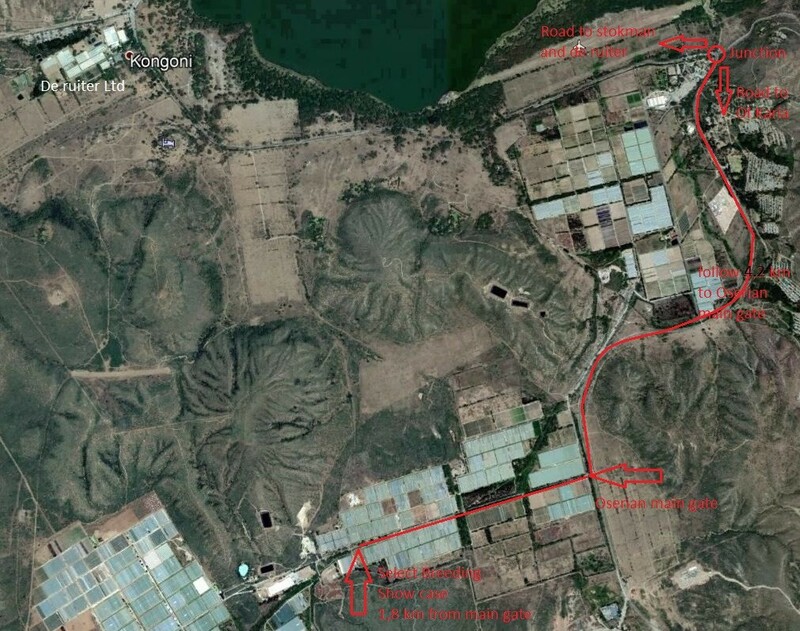 Since the end of 2017, Select Breeding opened its new headquarters at Oserian Development company in Naivasha. 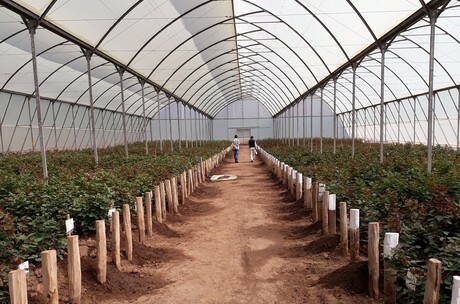 This location features a test- and show house where the latest cultivars are tested and commercial varieties are planted as display. The 3000m2 show house is situated at an altitude of 1960 meters.